YHWH | Holy. Just. Love. Are You a Politically Correct Christian? Are You Going to Heaven or Hell? I was heading home after dropping my son off at school. I pass by Temple Beth El every day. On this day I thought, “Why not give them a call and ask about Hebrew lessons?” So I quickly mapped the location on my phone and got their number while at the red light in front of the temple. I called and the receptionist exclaimed “Perfect timing! We only do one or two adult Hebrew classes a year and we have one today at 4:15!” I told her, “Sign me up!” I laughed most of the way home as I knew it was not my perfect timing but God’s. I went to the first class armed with my note pad and pen, early as usual to anything academic related. Once the class started the teacher announced that anyone interested in taking more classes outside of this class that she would love to “give back” to the community by offering her tutoring services for FREE! WHAT?!!! Again I said, “SIGN ME UP!” Yet another gift from God! It turned out that I was the only student interested, so my lovely friend Barbara has been tutoring me for the past 2 and a half months. What a blessing she is and as I look at how it all came to be, the clear hand of God has been on everything related to this Jewish Temple allowing me, a Christian into their world to teach me the things of our Elohim. Amazing! Over the past few months I have had a deep unexplainable urge to learn Hebrew. My journey has been so fascinating that I would like to share with those of you who might be interested in some things I have found to make my journey immeasurably fruitful. Everyone from my Jewish step-mom, to my sister, to the secretary at my church have all asked “Why?” with some confusion laced in their expression. My first thought was “Why not?” But to say that would be disrespectful. I honestly had no idea. I know if you asked me 6 months ago what my interest in Judaism, Israel, and the Hebrew language was I would have said “slim to none other than the fact that my Christian roots come from Jewish history and that my step family is Jewish.” Fast forward 3 months and all I can think about is Israel. A whole section of my day is reserved for praying for Jerusalem. I am enamored with learning about Jewish tradition and their language. So the question still stands… Why? I know for sure that one reason I desire to learn to read, write, and speak Hebrew is a need to understand what God meant when the Bible was penned. The words in Hebrew have a much larger breadth of meaning than the translated English words do. Therefor, passages are often literally lost in translation. Those two reasons are the only way I can explain it, but deeper than those is something I have no way of explaining. I just feel called to learn and to pray for Israel. 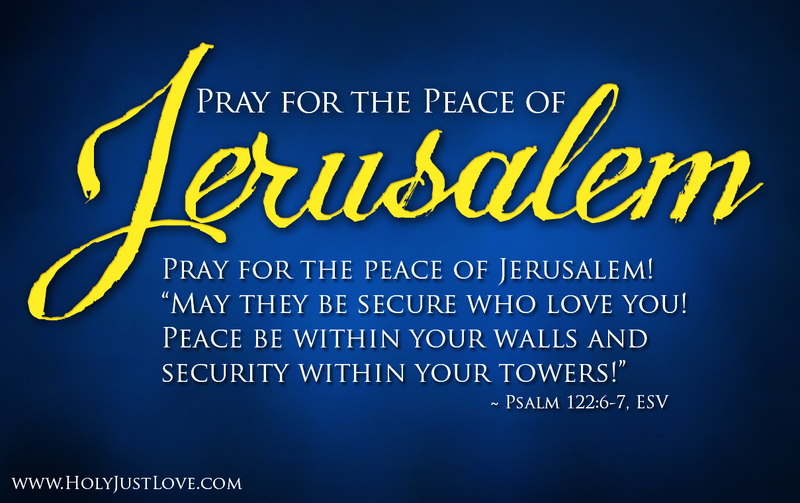 As a side note, I am praying for the FINAL peace of Jerusalem, not a “peace treaty” or anything other than the revealed glory of God through the revival of his people. 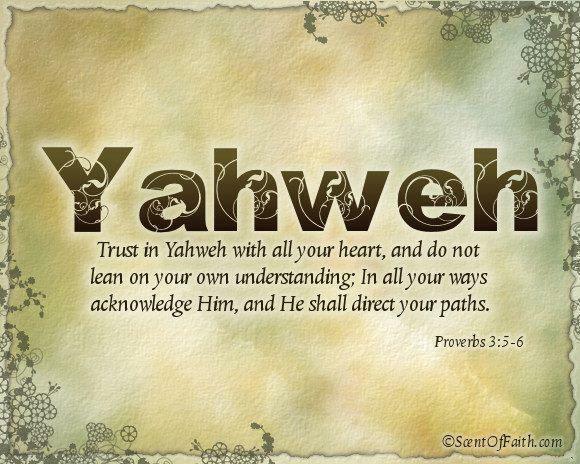 Over the next few days I am going to delve into my journey and show you YHWH’s guiding and providential hand in it all. Are you a “Politically Correct Christian”? How do you feel about Jesus? While this may seem obvious, let’s unpack the idea a bit more. OK, so you are a Christian. What does that mean, exactly? You have put your faith and trust in him. You have turned from your sinful ways and toward righteousness. You are at work, you are on your break at your desk reading your Bible. How do you react when you hear someone coming? You are at a restaurant with friends. Do you pray before a meal or do you pass it up for lighter conversation? Do you ever pray for an extended period of time with another friend out in public? You are at work in the lunchroom. Do you pray before your meal in front of everyone or do you quietly pray in your mind without anyone being the wiser? You are at a social event and someone you have never met asks you what you do. Do you bring up your reason for living by bringing up Jesus or do you talk endlessly about what you do for a monetary living? You are at the park with a friend who is definitely not a believer (make it more real and imagine your Muslim, gay, lesbian, or outspoken atheist friend), and you casually tuck your cross necklace into your shirt before you see them. You are at your kids school picking them up and you get into a conversation with another mom. Does the name of Jesus ever come into your conversations day after day? Generally speaking how often does the name Jesus enter into your daily conversation with everyone around you? Never I bet if you are honest. A very few of you will answer “All the time.” Praise YHWH for you and your boldness! We sing songs about “Jesus, only Jesus” but then are afraid to mention His name in mixed company for fear we will lose our jobs or lose that friend or lose respect. We think in our hearts I cannot wait to see the face of Jesus shining like the sun, but then can’t seem to say his name to others during our day. Is this how someone treats someone they love? When you are in love you want to shout it from the mountain tops. When you find your spouse you cannot wait to introduce them to everyone and anyone. When you have your first, second, third, twelfth grandchild how quick are you to whip out those photos of them even to perfect strangers? But Jesus? No, that is not politically correct. It’s sad. More importantly it may mean eaternal damnation. Ask yourself: “How do I really feel about Jesus?” The world sends thousands of signals to us like little darts all intended for us to dislike or even hate Jesus. We are in a literal battlefield. If only we could see what the angels can see. Take a look at what the Bible says about it. Based on personal experience, I thought I was a Christian but realized I was actually ashamed of Jesus. I was the politically correct “Christian.” I praise YHWH for showing me my folly. Pray about this one, my friend. Don’t be ashamed of Jesus! If this convicted you even a small bit, please read through the other Fruit Audit topics to the right. Your name is the most important word you know. It is the first word you fully understood and continues to be an integral part of who you are. When people call us by another name or mispronounce our name or misspell our name it is offensive to us. My son’s name is Jacob Timothy O’Sullivan. He goes by Jacob. Some people choose to call him Jake even though we have never told them that is his name. He gets angry and a bit sad when he tells them his name is Jacob and not Jake and yet they continue to call him Jake. Because his middle name is Timothy, we sometimes call him JT. That also upsets him to no end. These are variations on pretty much the same name. 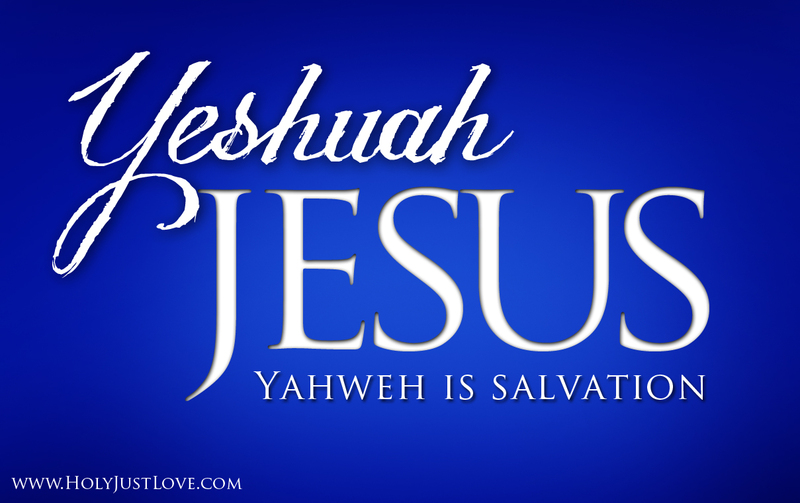 The word God is not even close to Yahweh’s real name. Imagine, for a minute, how Yahweh feels when we call him God. It is a translated name but the origin is a bit obscure. Did you know that the English word for יהוה (which is the tetragrammaton of YHVH) is Yahweh, which is what most feel the pronunciation might be? 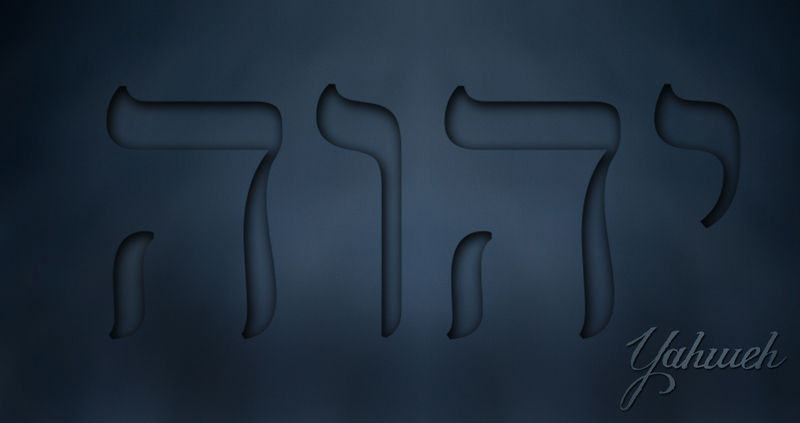 Yahweh is the actual transliterated name of God. Did you also know that the word God comes from pagan origins as noted in the Bible? It’s root is actually found in the Bible in Hebrew text as GD or “gimel dalet” (גד). Vowel pointers in Joshua 11:17, 12:7, 13:5 create the word to sound like “Gawd” or our present day “God.” You can see more on this topic HERE or see below for more links to interesting studies. Why do we assume that God is not offended by what we call him if we are so vehemently offended when others mess up our name? So, is this a real issue? That is up to you and your own walk with Yahweh. The argument could be made that if YHVH/Yahwey/God were upset he would have done something about it. Instead he has allowed millions of Bibles to be printed without his original name spelling. We live in a fallen world, however my goal for my walk with Yahweh is to do all I can to honor Him so I have been practicing and slowly but surely changing my verbiage in my mind and prayers and writings over to YHVH (Yahweh). Please share your comments on this topic as it can get a bit controversial and I know you have an opinion. I encourage you to take a look at some of the writings below. Is the Fruit of the Spirit the only Fruit? Do you Walk by the Spirit? Do you Love the World? Do you have Chronic Sin? Do you have Good Character? Is God’s Law In You? Can you Prove you are Saved? Help spread The WORD on Facebook!